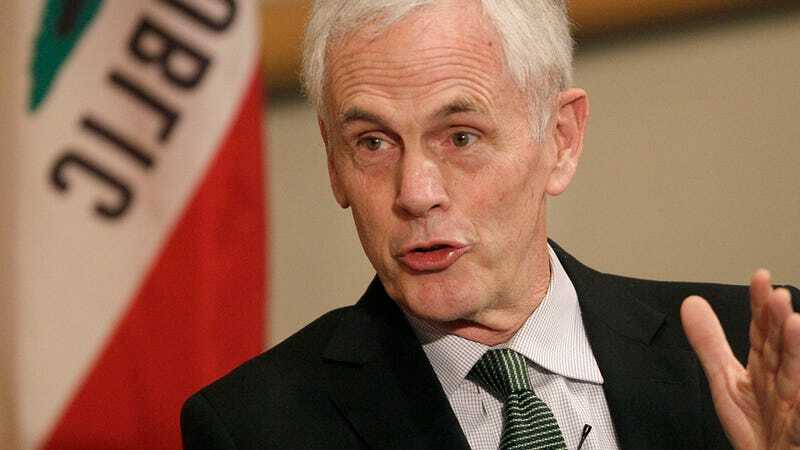 U.S. Commerce Secretary John Bryson has resigned in the wake of two hit and run crashes earlier this month, said to have been caused by a seizure at the wheel. An investigation into the crashes is still underway. On June 9, Bryson was driving his Lexus in San Gabriel Valley, just east of Los Angeles, when he crashed into two different cars within minutes of each other. After the crashes, he was found unconscious in his car. Bryson was taken to the hospital and therefore not booked into jail on charges of felony hit and run. Authorities did not attribute drugs or alcohol to the crash, while commerce officials attributed it to a seizure. In his letter of resignation to President Obama, Bryson wrote, "I have concluded that the seizure I suffered on June 9th could be a distraction from my performance as Secretary and that our country would be better served by a change in leadership of the Department." This would be 68-year-old Bryson's first seizure.